Dr.Shawna Fariba was born and raised in San Diego and grew up right here in Scripps Ranch. She developed a love for working with people early on, and has since striven to find a career in which she could better the lives of others daily. Dr. Fariba studied psychobiology at UC Davis, and further cultivated her passion for art, medicine, and patient care by completing her dental training at University of Pacific Arthur A. Dugoni School of Dentistry in San Francisco. Dr. Fariba sincerely understands the importance of a gentle touch. She has had the opportunity to refine her dental skills with continuing education courses, as well as actively participating in volunteer work with mission trips to lower income countries. 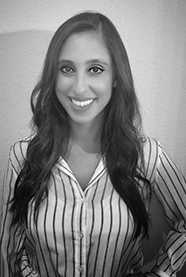 Dr. Fariba is dedicated to her patients and could not be more excited to join the MOD squad dental team. In her free time, Dr. Fariba enjoys spending time outdoors, hiking, snowboarding, and hitting the San Diego surf. Dr. Fariba loves traveling, counting Barcelona, Greece, and Italy to be among her favorite destinations. Anyone who has met Dr. Fariba knows she’s a huge foodie and will always take any opportunity to try a new restaurant. Above all, Dr. Fariba finds the chance to spend time with her family, and especially spoiling her niece, to be the most fulfilling part of being back in her hometown that holds such a special place in her heart.